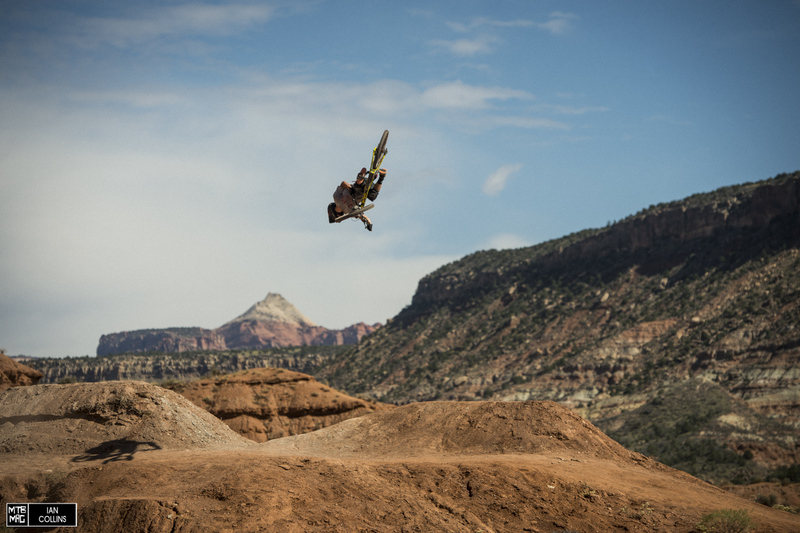 As we lead up to Rampage, we’re checking in with various athletes who are laying it all on the line for the big show in Virgin, Utah on October 27th. 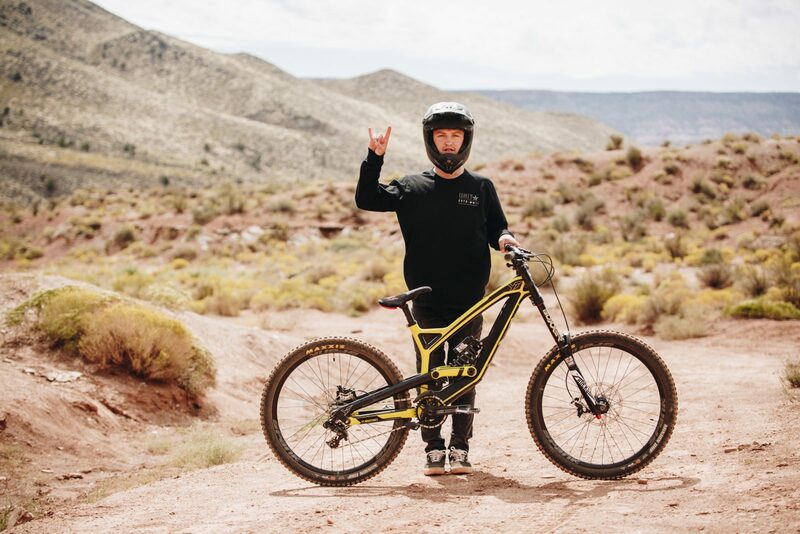 Last week we chatted with Tyler McCaul and for this feature, we’ll be catching up with steeze cat, Ethan Nell – a Virgin Utah local. Ethan mid spin and mid session on part of the old Rampage site last year. We first met and rode with Ethan a couple winters ago when he was visiting Santa Cruz. Since then, he’s been picked up by YT, hopped on board the FEST train and has made a bit of a name for himself in the freeride scene. 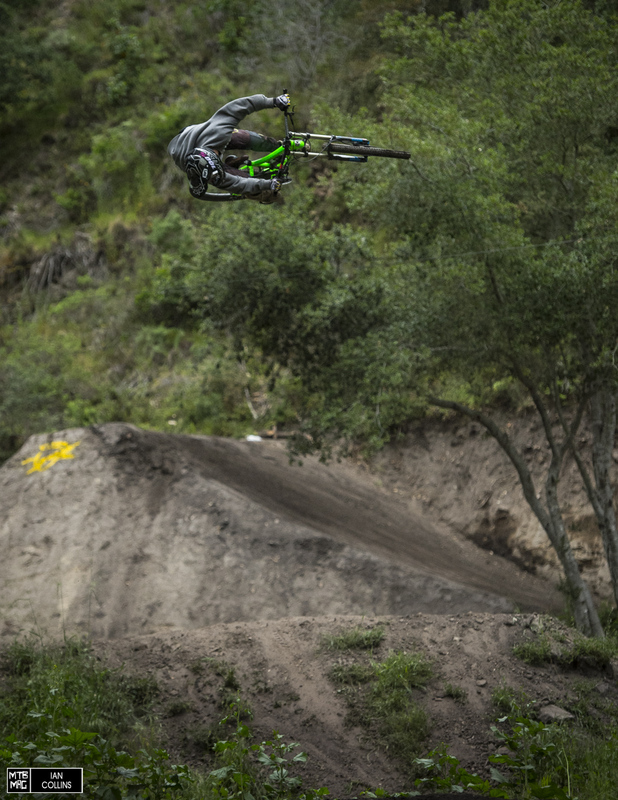 Ethan: Changes to my bike for Rampage don’t include too much. 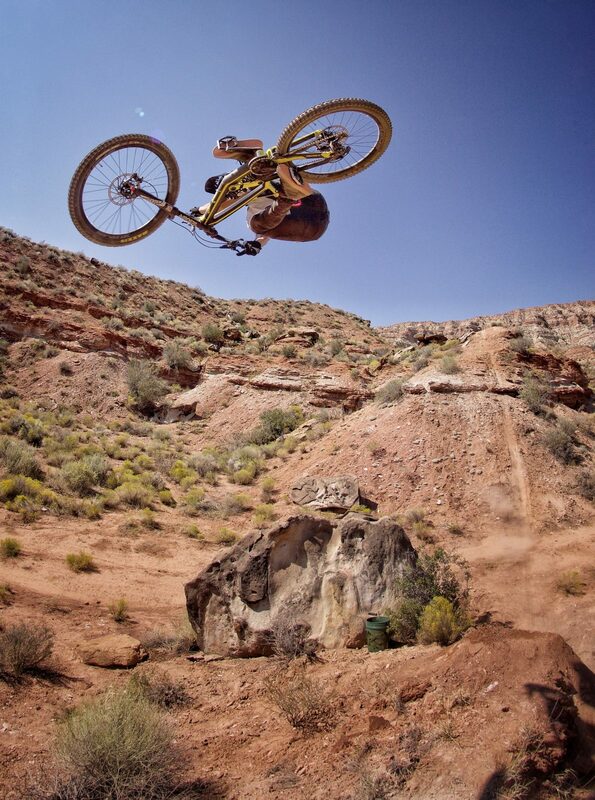 I mainly ride at home in Virgin, Utah and on the FEST series the whole year, so most of my riding is big hits anyway. My bike is always set up super stiff. Ethan with his bike – a 26″ YT Tues.
Ethan: As for changes in my kit I will wear a Moto chest protector over my t-shirt but other than that just the classic Moto pants, knee protection, ankle braces, and padded shorts. Ethan: For my line I want to build massive hits to spin all the way down the mountain. I may team up with Reed Boggs on a few features because we’re the new guys without a previous line built. CruzFest 2016 – Ethan with a huge 360 on the trick jump. Ethan: My biggest fear or concern for this year is building my line right, feeling good and looking good on it, all in the short time we have to do it. Not too many concerns though, this is my home riding spot. I feel the best here. 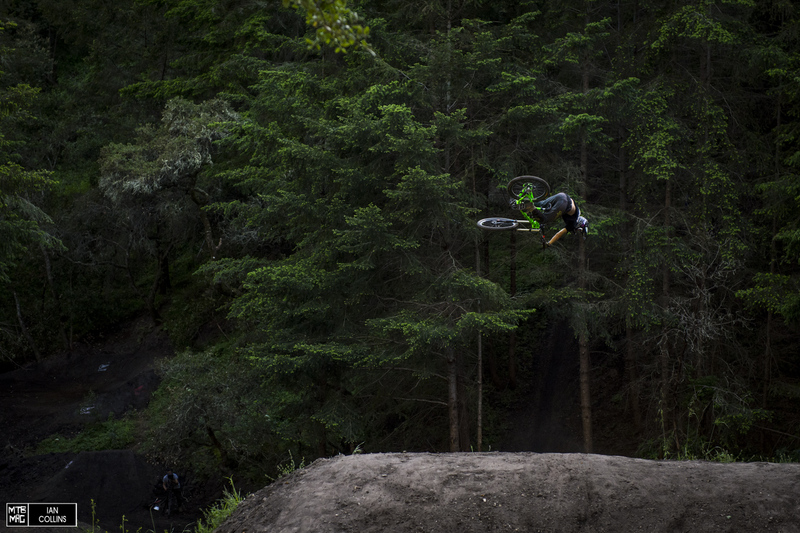 Ethan practicing at home…Big whip on a big hip.